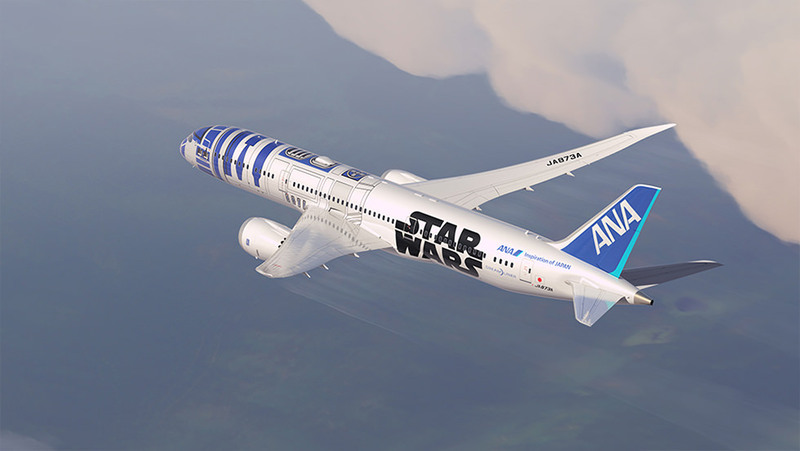 R2-D2 is getting a ride around the world on one of All Nippon Airways’ (ANA) new Boeing 787-9 Dreamliner jet. 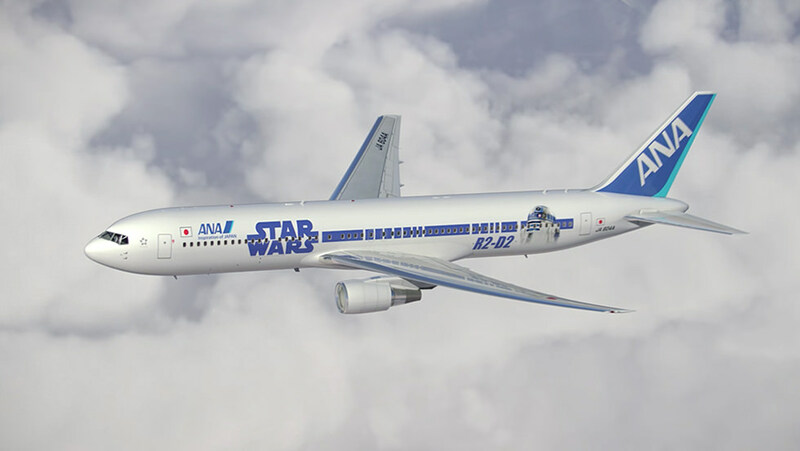 Japan’s largest airline announced today that a total of three if its aircraft will be decorated with Star Wars-themed livery ahead of this winter’s release of Star Wars: Episode VII – The Force Awakens. 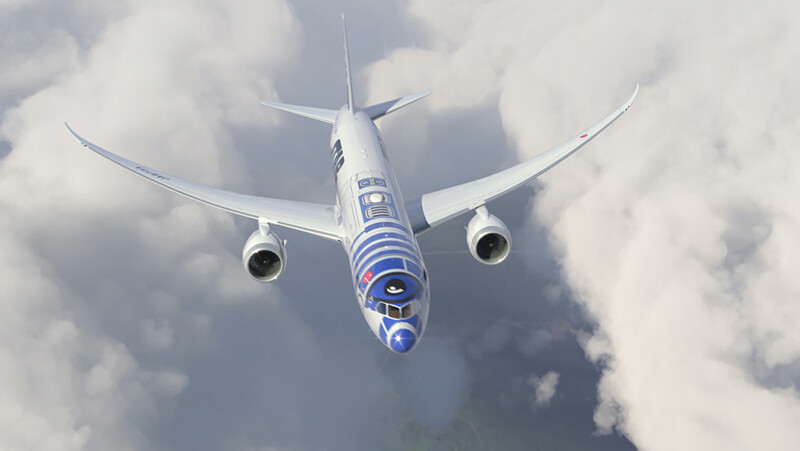 The R2-D2 jet will make its inaugural flight from Tokyo Haneda International Airport to Vancouver International Airport on October 18 and then serve other international routes to Japan. 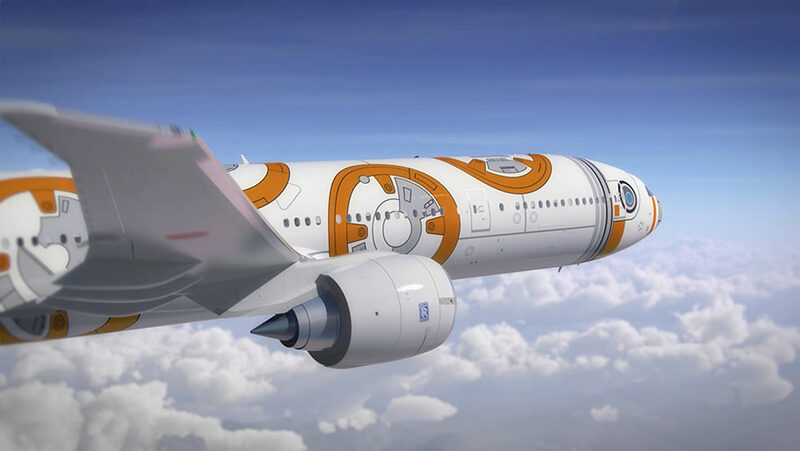 Another aircraft, a Boeing 777-300ER, will be painted with the BB-8 droid robot’s design and serve international destinations beginning in November. During the same month, a third aircraft – a Boeing 767-300 – decorated with the franchise’s brand will fly Japan’s domestic routes before serving international routes in the spring. 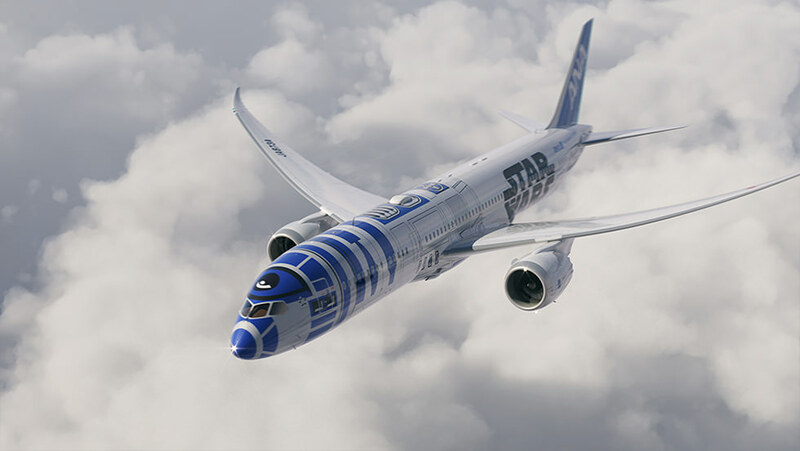 Passengers flying on these aircraft can expect a complete Star Wars experience during their flight, including Star Wars-themed headrest covers, paper napkins and cups. 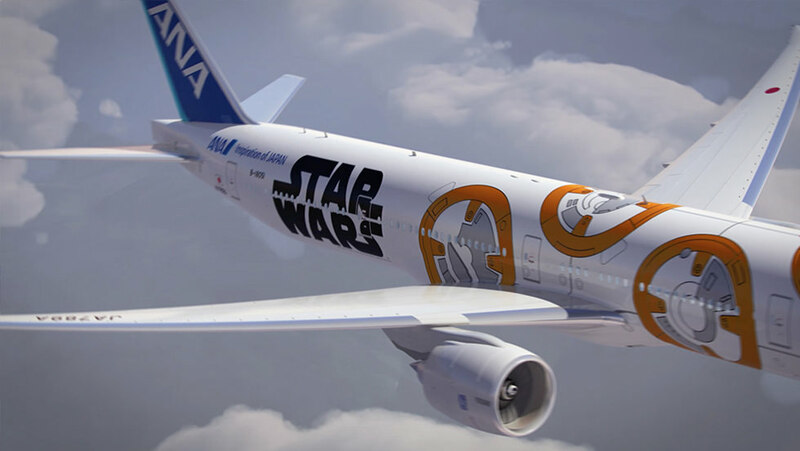 Across the entire ANA international fleet, the first six films in the series will be available for viewing on the in-flight entertainment system. 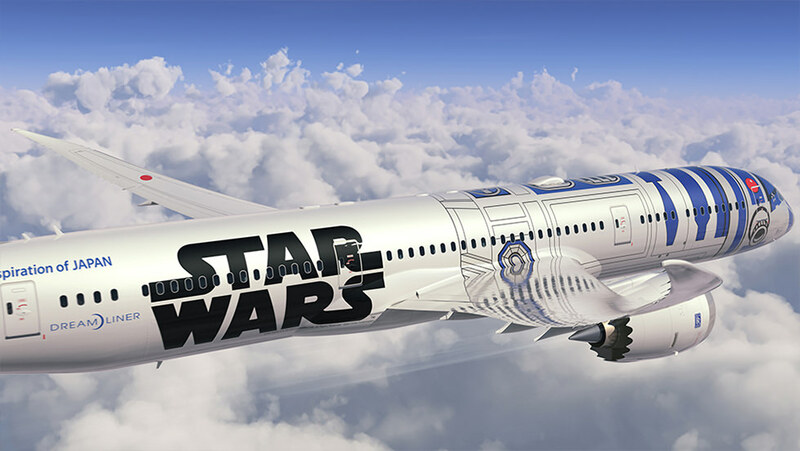 This will be the first time any Star Wars films have been included in any in-flight entertainment system, according to the airline in a press release. 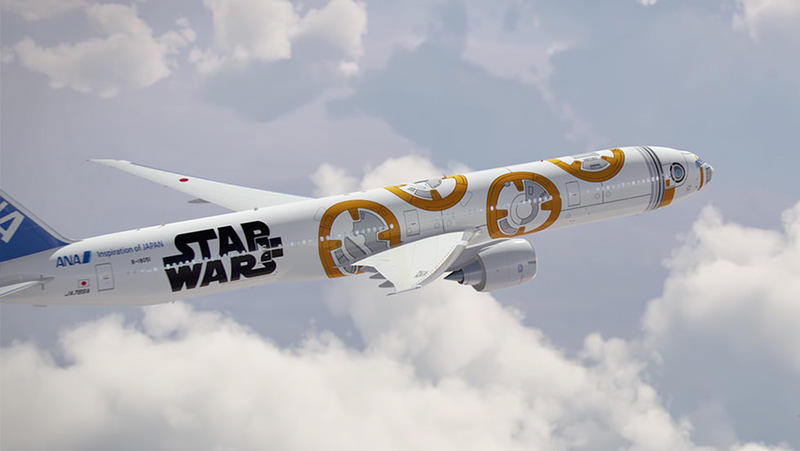 The Star Wars branding on ANA was first announced in April 2015 as part of a five-year promotional licensing contract with the Walt Disney Company. ANA began serving Vancouver International Airport in March 2014 with a daily, non-stop service to Haneda Airport using a Boeing 767-300 aircraft. 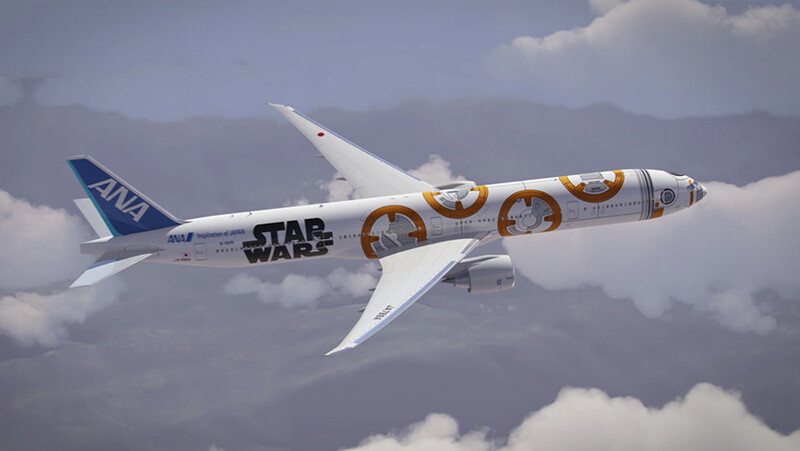 The flight schedule for the Star Wars-themed Boeing 777-300ER and Boeing 767-300 will be released at a later date – one of the planes is expected to serve the Vancouver route for several weeks in 2016. The seventh instalment of the Star Wars series arrives in North American theatres on December 18.